QuickBooks is a very popular accounting software that gives a big room to the small business owners to handle the monotonous business accounting. The software comprise of automated features that helps in enhancing performance and accuracy. There are some features missing from the default functionality of the software such as: to merge QuickBooks data files together. In fact, it is quite a challenging task because QuickBooks program has some tough rules for names like a customer name in one company file cannot be similar to vendor name in another file. One of the biggest issue in merging the file is the fact that payroll transactions cannot be merged since the QuickBooks SDK (Software Development Kit) restricts it. There are options to merge QuickBooks files by purchasing software that merges the files. The file merging process involves lot of time and is a tedious process. Each step needs to be performed carefully, a simple mistake will end up with a big issue or even corruption of the source data file. By using the third-party QuickBooks File Merging Service the files are merged completely with full accuracy and no manual involvement. How to Merge two items in QuickBooks ?  Verify the list for duplicate items (note the name of the item you want to remain.  Click the item you want to merge into another item. The Edit Item dialog displays.  Enter the Item Name/Number field the name as you did in second step. You can also use the Windows copy and paste command that exempts entering lengthy names or long numbers.  Click OK to save your change. QuickBooks prompts a warning message that you are merging items. The user can only merge same type of items together. The duplicate service item types can be merged together, but a service type item cannot be merged with a non-inventory item type. It is not recommended to merge inventory items together. You need to consider the consequences of merging the items, before you perform. Entire transactions merge into the remaining list item. Get more details for merging company and vendor list contact QuickBooks USA Support team . For more details you can contact QuickBooks Technical support via toll free phone number. You can also choose email contact option or live chat as well. The support team carefully listens to the queries and offers assistance. 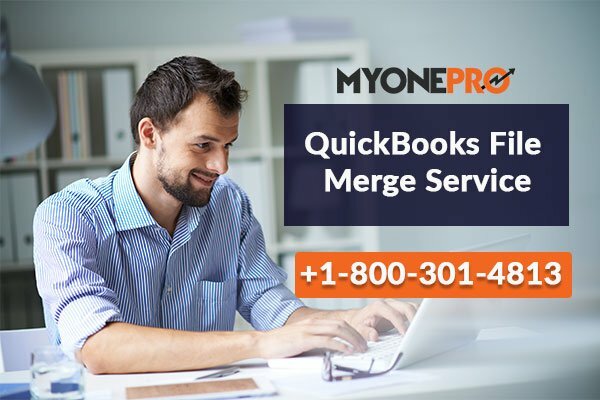 Also you can choose to connect with MyOnePro that is a trustworthy QuickBooks consulting company that employs proficient QuickBooks experts. The team assures quick resolution of the error in a very short time. Call to the toll free number +1-800-301-4813 and fetch instant solutions.